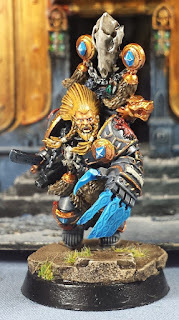 Mordian 7th Regiment: Heresy Era Space Wolves - Geigor Fellhand Complete! 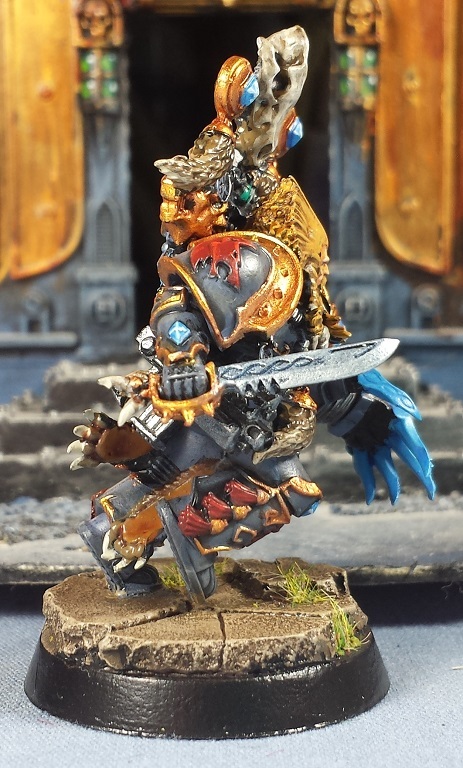 Heresy Era Space Wolves - Geigor Fellhand Complete! 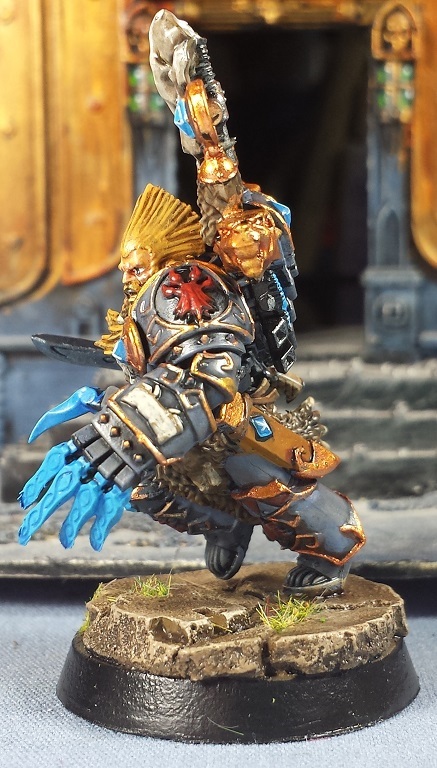 Managed to sneak in a couple hours over the weekend and finished off Wolfy McWolferson Geigor Fellhand! Pretty happy with the storm grey armour and the brassy trim, and the blue and red accent colors pop nicely. It's definitely a challenging model to photograph, the pose tends to look a little flat but in-hand I really think it's got a great sense of weight and motion to it. Overall I rather enjoyed painting him up, and it was a nice break between batches of Genestealer Cultists! That said, the next batch of Acolyte Hybrids are sitting on the desk in front of the painting servitor's duty station. Prepare for purple! 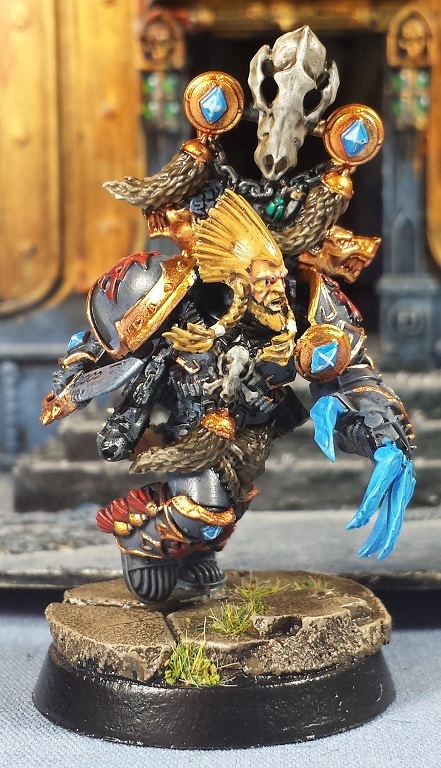 That's beautiful, mate; you've got that heresy grey spot on and the highlight colours are terrific. Well done, it's a great model. Beautiful job mate, really good stuff. 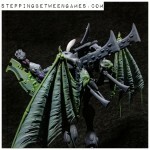 It's a great sculpt too. Looks really good, as others have said the grey is great and the gold contrast looks great. Bring on the acolytes though! Looks good though. Are all the other marines going to be Sons or Wolves? Great work, man. Wonderful model. @Smithy2727: THanks very much, man! @Frothing Muppet: I appreciate it! @Nick Thrower: Thanks! The next batch of Acolytes are in progress, pics soon! @Rory Priest: ...And the righteous don't need any! Actually the majority of the other models from the Prospero box are going to end up being Imperial Fists! @Zzzzzz: Thanks man! He'll be on the way soon! I appreciate all the kind words, folks - cheers! Argh, late to the party again, great job. The grey is really cool! So much better than the baby blue of 40k wolves! Really like the finished effort mate. You're right on the pose - excellent and realistic sense of movement. He looks fantastic! The blue claws and gems really shine against the dark armor. @Col. Hertford: Thanks very much man! Aye, I definitely prefer the moody storm grey of the heresy era marines. Freaking epic buddy! Sorry for my lack of comments! Been super lazzzy since nafka's blog wheel thing went down! @Greg Hess: Cheers man! Was definitely a fun model to paint up! 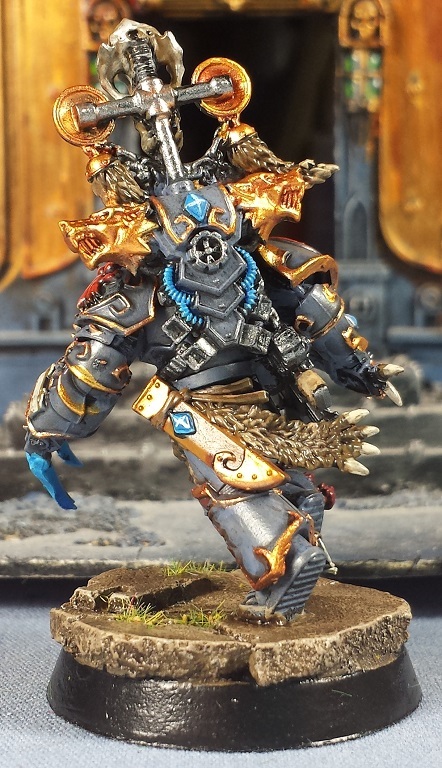 If you dont mind me asking, what colour scheme did you use to paint the grey? Thanks. It's fairly straightforward, used Vallejo Shadow Grey, drybrushed lightly with Vallejo Cold Grey, then washed with Army Painter Dark Tone. Easy peasy!